^ a b c d e 山本郁男 1992. ^ a b c d e f g h i j k Russo, Ethan B. (2007). “History of Cannabis and Its Preparations in Saga, Science, and Sobriquet”. Chemistry & Biodiversity 4 (8): 1614–1648. doi:10.1002/cbdv.200790144. PMID 17712811. ^ a b Scali, Monica; Dufresnes, Christophe; Jan, Catherine; et al. (2017). 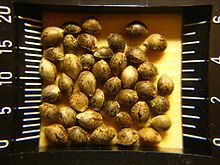 “Broad-Scale Genetic Diversity of Cannabis for Forensic Applications”. PLOS ONE 12 (1): e0170522. doi:10.1371/journal.pone.0170522. PMC: 5249207. PMID 28107530. http://journals.plos.org/plosone/article?id=10.1371/journal.pone.0170522. ^ a b an Bakel, Harm; Stout, Jake M; Cote, Atina G; et al. (2011). “The draft genome and transcriptome of Cannabis sativa”. Genome Biology 12 (10): R102. doi:10.1186/gb-2011-12-10-r102. PMC: 3359589. PMID 22014239. https://genomebiology.biomedcentral.com/articles/10.1186/gb-2011-12-10-r102. ^ Gilmore, Simon; Peakall, Rod; Robertson, James; et al. (2003). “Short tandem repeat (STR) DNA markers are hypervariable and informative in Cannabis sativa: implications for forensic investigations”. Forensic Science International 131 (1): 65–74. doi:10.1016/S0379-0738(02)00397-3. PMID 12505473. ^ Tinker, Nicholas A.; Sawler, Jason; Stout, Jake M.; et al. (2015). 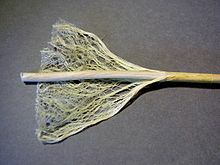 “The Genetic Structure of Marijuana and Hemp”. PLOS ONE 10 (8): e0133292. doi:10.1371/journal.pone.0133292. PMC: 4550350. PMID 26308334. http://journals.plos.org/plosone/article?id=10.1371/journal.pone.0133292. ^ a b c d 松田恭子 2012, p. 21. ^ a b Owens, Brian (2015). “Drug development: The treasure chest”. Nature 525 (7570): S6–S8. doi:10.1038/525S6a. PMID 26398738. https://www.nature.com/nature/journal/v525/n7570_supp/full/525S6a.html. ^ a b c d e f Russo, Ethan B (2011). “Taming THC: potential cannabis synergy and phytocannabinoid-terpenoid entourage effects”. British Journal of Pharmacology 163 (7): 1344–1364. doi:10.1111/j.1476-5381.2011.01238.x. PMC: 3165946. PMID 21749363. http://onlinelibrary.wiley.com/doi/10.1111/j.1476-5381.2011.01238.x/full. ^ 松田恭子 2012, p. 22. ^ a b 松田恭子 2012, p. 23. ^ 松田恭子 2012, p. 24. ^ 松田恭子 2012, p. 26. ^ a b c d e f Pain, Stephanie (2015). “A potted history”. Nature 525 (7570): S10–S11. doi:10.1038/525S10a. PMID 26398731. https://www.nature.com/nature/journal/v525/n7570_supp/full/525S10a.html. ^ a b Pollio, Antonino (2016). 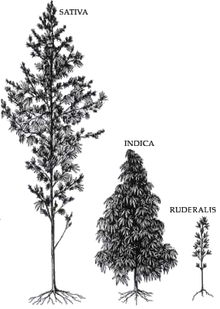 “The Name of Cannabis: A Short Guide for Nonbotanists”. Cannabis and Cannabinoid Research 1 (1): 234–238. doi:10.1089/can.2016.0027. PMID 5531363. ^ a b c d Zuardi, Antonio Waldo (2006). 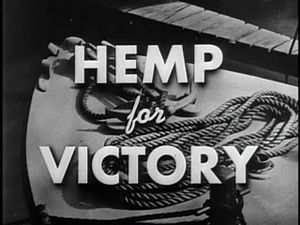 “History of cannabis as a medicine: a review”. Revista Brasileira de Psiquiatria 28 (2): 153–157. doi:10.1590/S1516-44462006000200015. PMID 16810401. https://doi.org/10.1590/S1516-44462006000200015. ^ Russo EB, Jiang HE, Li X, et al. (2008). 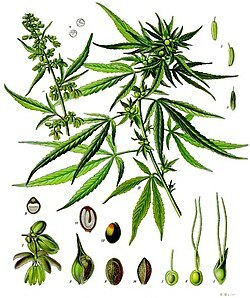 “Phytochemical and genetic analyses of ancient cannabis from Central Asia”. Journal of Experimental Botany 59 (15): 4171–4182. doi:10.1093/jxb/ern260. PMC: 2639026. PMID 19036842. http://jxb.oxfordjournals.org/content/59/15/4171.full. ^ 松田恭子 2012, p. 27.